Editor Cele Goldsmith, helming Amazing and Fantastic during the early 1960s, famously fostered the careers of such budding talents as Thomas Disch, Roger Zelazny, R. A. Lafferty and David Bunch. Less commented upon is that she also published, in 1960, the debut short fiction of a certain ambitious twenty-eight-year-old named Ben Bova. 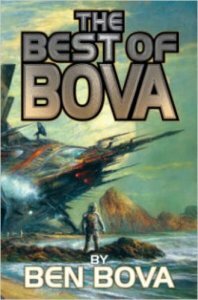 In the subsequent fifty-six years, Bova has racked up an impressive bibliography and CV, certainly commensurate with SFWA Grandmaster stature. (Hint to any committee members planning the next recipient!) He continues to produce fine fiction still, but a look backwards at this juncture is certainly in order. Under this banner arrives volume one of his Best of, sporting a gorgeous Eggleton cover, with the second installment firmly scheduled for July, and a third one lurking somewhere down the pike. That Goldsmith-purchased maiden voyage, “The Long Way Back,” kicks off Volume 1, but after that point the two dozen subsequent stories hop all over Bova’s chronology. In my overly analytical, semi-scholarly fashion, I usually enjoy seeing the stories in such a collection presented in order of publication, so as to discern growth, trends, tics, etc. But I can readily admit that such a fussy presentation can have its drawbacks as well, so I am happy overall to have the tales arrayed to Bova’s choosing. Barry Malzberg once opined that an author’s entire career lay nascent, overt or implicit, in their debut story. Is that true here? I’d probably say yes. “The Long Way Back” opens with a desperate mission into orbit some eighteen years after nuclear war has wiped out civilization. Our protagonist, Tom, is not a Heinleinian robust Competent Man, but rather a desperate, soured amateur sent on what proves to be a one-way trip. Battling the harsh forces of physics and human cultural inertia and fear, as well as his own neurotic bugbears, he nonetheless manages to do something that points humanity down a new hopeful path. 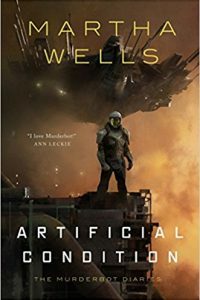 These tropes — space travel, societal pressures, the fragility of our accomplishments, the mixed angel-devil nature of each soul — all seem highly characteristic of Bova’s subsequent fictions. Highlights from the rest of the book consist of numerous allied instances. The second offering in the collection, “Inspiration,” veers into Harry Turtledove territory, a realm most folks, I think, would not imagine Bova necessarily exploring. In the year 1896, a time traveler maneuvers young Albert Einstein, Lord Kelvin and H. G. Wells into conversation. The laidback tone and pacing of the story—no chases, explosions, or assassinations—conceals a taut suspense and weighty outcome. Humor was one trademark Bova element missing from his debut, but it makes a rousing appearance in “Vince’s Dragon,” wherein the business relationship between a “made man” gangster and a giant fire-breathing reptile proves somewhat combustible. Set in day-after-tomorrow Greece, “A Small Kindness” more or less reconfigures Clarke’s Childhood’s End in ultra-compressed synoptic form, full of both thrills and intellectual gambits. Bova’s concern for humanity’s ultimate goals and destiny, a recurrent theme, shows up strongly here. The sequel, “Born Again,” offers a deepening of the plot. And I might mention at this point that Bova’s engaging introductions to each story serve as a mini-autobiography and careful critical assessment of the field. The first tale to chronicle Bova’s contrarian, egocentric trickster, Sam Gunn, is titled, of all things, “Sam Gunn” and starts with that fellow’s death, meaning all the long saga that came after has been a prequel! SF loves such figures—think Harrison’s DiGriz and Laumer’s Retief—and Bova’s contribution to the ranks of such protagonists is exemplary. A tribute to Jack Williamson, “Risk Assessment” reinvigorates a lot of Williamson’s prime concerns found in The Humanoids, revolving around human progress through confronting necessary danger. A trio of stories—“Zero Gee,” “Test in Orbit,” “Fifteen Miles”—tells a fraction of the achievement-filled biography of Bova’s contrasting counterpart to Sam Gunn, the contemporary, naturalistically portrayed astronaut named Kinsman. (Anyone else hear echoes in that surname of a certain Lensman?) These mimetic tales show a kind of near-journalistic ability that Bova has, where he uses the toolkit of SF to explore the realpolitik workings of the world rather than any far-out edges of the future. To conclude with my favorite tale, I point you toward “Foeman, Where Do You Flee?”. 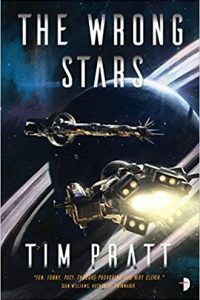 After discovering alien structures on Titan, mankind sends out several expeditions to the stars to learn more about these mysterious forerunners. We follow the exploits of the ship that goes to Sirius, where a nicely individuated crew must play delicately through a First Contact situation. The initial kickstart of this 1969 story obviously owes something to the then-dominant 2001: A Space Odyssey. But it quickly becomes stranger, eerily prefiguring later outings from writers as diverse as Nancy Kress, James Tiptree and Michael Bishop. It’s a long, masterfully crafted investigation of the foundational elements of the human spirit. 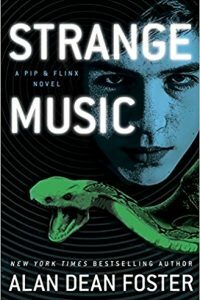 Any preconceptions that readers might have had about imaginary limitations regarding the kind of fiction that Ben Bova produces will be blown away by the broad spectrum of stories here, constituting only one third of his lovesong to SF.